Cannabis consumption methods are evolving at an increasingly rapid rate, driven by patients continuously seeking cleaner, healthier and more efficient cannabis experiences. From natural growing practices, improved drying and curing methods, to extraction and isolation of cannabis compounds, the marijuana industry is changing the way we consume cannabis for the better. With over 100 harmful toxins and compounds inhaled when burning marijuana flower compared to just 3 compounds other than THC consumed when vaporizing, it’s easy to see why new methods for processing and consuming cannabis are allowing users to maximize benefits while minimizing health risks. For a long time this category was defined by hash. However, the technological cannabis revolution has brought along a variety of extracts known by names such as wax, oil, butter, shatter, and dab. Cannabis extract also known as cannabis concentrate, vape oil, dab, etc is a broad term encompassing all cannabis products created using an extraction method that involves a solvent such as butane, CO2, or ethanol which strips compounds from the cannabis plant. 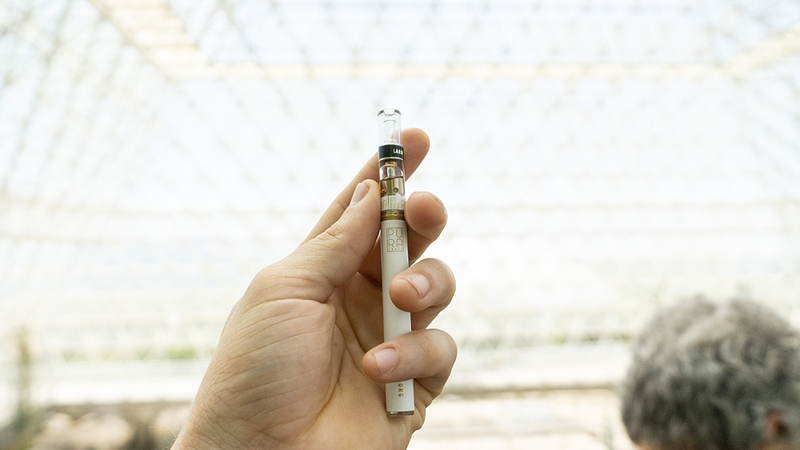 Extract or cannabis oil can be used for vaping, dabbing and making edibles. The first step in creating cannabis extract involves using a solvent such as butane, CO2, or ethanol to separate desirable compounds such as THC, CBD, terpenes and flavonoids from the undesirable cannabis plant matter. The process used is important to the taste, smell, and final experience of the cannabis extract. For a long time, butane and CO2 extraction were the predominant methods on the market, however, more recently ethanol, the new kid on the block has begun to steal their thunder. The newest and arguably the best method, ethanol extraction is how all PuraEarth products begin. In butane extraction, cannabinoids are drawn out of the marijuana plant using butane as a solvent. Although it is significantly more efficient and scientifically superior to CO2 extraction in terms of preserving the delicate strain specific terpene profile responsible for scent, taste, and nuanced high, butane extraction is frowned upon for several reasons. One of them being that butane is highly flammable. This flammability is why butane extraction often makes headlines for explosive cases of open blasting gone wrong where suburban kids blow up their parents houses by setting the very combustible used butane on fire when releasing it into the air in an enclosed environment following extraction outside of a closed loop system. Professional butane extraction involves a closed loop system whereby the butane is safely removed in a vacuum oven and subsequently recycled in other extractions. Butane’s flammability is thus typically not a major problem for professional extractors using the latest technology and issues in closed loop systems are rare. However, even the most advanced systems can malfunction. Therefore, anytime butane is used as a solvent in extraction, there exists the potential for catastrophic failure. Another potential problem with butane is that it comes in a variety of grades, some of which are more harmful than others. Cannabis oil extracted with lower quality butane can retain a residue and array of toxins that are harmful to humans. Regardless of quality butane must be properly removed or purged out of the concentrate following extraction. This process never removes 100% of the butane from the end product. Despite these potential hazards, butane is favored over CO2 extraction for its non-polarity. This means that unlike CO2 which typically strips the plant of everything but THC, butane dissolves not just the cannabinoids but also the whole spectrum of lighter, more volatile terpene compounds from the plant into the concentrate without co-extracting undesirables such as chlorophyll and plant metabolites. CO2 is another solvent used in marijuana extraction. The benefits to CO2 extraction are that it is very safe, non toxic and leaves no residual. It’s vapor pressure is so high that it simply disappears. Despite these advantages CO2 extraction is the least efficient method in the marijuana concentrates market and results in cannabis oil with heavy lipid contamination. CO2 extraction is accomplished by molecular weight, so if an extractor fully understands the process, it is possible to extract what you want from terpenes to cannabinoids. However, despite sophisticated molecular weight extraction, CO2 extracts lipids as well, which leads to a harsh smoking experience. For less sophisticated extractors or systems, CO2’s high pressure can also make CO2 extraction extremely rough, stripping the plant entirely of its terpene profiles. In removing all of the terpenes, less sophisticated CO2 extraction eliminates the nuanced high as well as strain specific scent and taste. Because CO2 can remove everything from the plant profile isolating only THC, and rendering a product lacking in scent or flavor, there is a possibility for the use of sub-standard flower in production. In a market dominated by butane and CO2 extraction, ethanol is the new kid on the block. The newest and most advanced method for creating concentrates, ethanolic extraction has been adopted by the most sophisticated cannabis concentrate manufacturers producing top quality distillates and it is the method we employ as PuraEarth. Regarded for its safety, efficiency and non-harmful environmental impact, renewable food grade ethanol cannabis extraction in a closed loop system is as safe as CO2 and as efficient as butane extraction. In a closed loop ethanol extraction system, the ethanol is recovered under vacuum and low heat allowing for the preservation of the light aromatic terpenes and the reuse of a significant portion of the ethanol in the next extraction. One of the barriers to entry in ethanol extraction and the reason behind why more manufacturer’s aren’t using this method is that ethanol’s polarity or propensity for co-extracting potentially harmful compounds requires advanced extraction and purification equipment to produce an ultra pure and high quality end-product. Because ethanol’s polarity causes it to co-extract plant by products such as chlorophyll, lipids, and waxes along with the desirable terpenes and cannabinoids, ethanol extracts must undergo an additional step of purification to remove lipids, chlorophyll and waxes. Cannabis distillation creates decarboxylated or activated cannabis extracts that are pure on a molecular level. Distillates are therefore ultra potent, activated and highly refined cannabis extracts. PuraEarth distillates undergo a four stage refining process following ethanol extraction which includes separating and then reintroducing CBD and terpenes to facilitate the entourage effect which produces the strain specific experience when these compounds interact with one another and our endocannabinoid system. Because they have been molecularly refined, distillates don’t contain any harsh plant matter, lipids, chlorophyll, molds, or fungus, which can be harmful when inhaled. When smoked or vaporized distillates are incredibly smooth, tending not to cause coughing associated with doing dabs or smoking flower. Free of various plant by-products, irritating oils, and impurities found in unrefined concentrates, THC distillate produces a very clean smoke or vapor. In addition to being extremely pure, distillates are also activated or decarboxylated meaning that the THC in the cannabis oil can be orally activated without requiring additional heat. Decarboxylation is the reason why you cannot simply eat flower to get high. Thus, edibles made with THC distillate are not only very strong, but also faster acting than other extracts which have not undergone a refining process. Due to its purity, each dose of THC distillate is highly potent, eliminating the need for smoking a lot and minimizing the health risks of smoke inhalation. Because it has been decarboxylated or activated, marijuana distillate can be administered orally, topically, vaped, smoked, dabbed, etc. The possibilities are endless, however, rectal administration is not recommended. HOW CAN YOU TELL WHAT YOU’RE BUYING IS HIGH QUALITY THC DISTILLATE? There are three main visual aspects that can help you to discern the quality of your cannabis extracts. By assessing the concentrate’s viscosity, clarity and sometimes color, you can tell whether your cannabis oil contains impurities or if it has been diluted with cutting agents. Many companies use a variety of cutting agents including PEGs (polyethylene glycols), glycerin, MCT (medium-chain triglycerides) and other chemicals to liquefy extracts. Although certain solvents such as MCT oil are generally non-harmful, others such as propylene glycol present significant health hazards. Viscosity is the measure of a fluid’s resistance to flow. It describes the internal friction of a moving fluid. Thick, sticky fluids like honey for instance have a much higher viscosity than water. A fluid with high viscosity resists motion because its molecular makeup gives it a lot of internal friction. Viscosity can thus inform you as to the purity of your cannabis concentrate. This is because pure THC, sometimes referred to as THC-A crystalline, is a solid. Therefore, the more viscous (i.e. less runny) a concentrate is, the more THC it contains. One way to check this is to take the THC vape cartridge in question and turn it on its side. Solventless and uncut THC distillate is highly viscous and should take minutes to begin moving. While cannabis concentrate containing cutting agents will flow more freely. Clarity refers to how transparent your cannabis extract appears. If you hold a cannabis oil cartridge up to the light and notice any particles in the extract, you’re most likely seeing fats, lipids, or chlorophyll, all of which can be harmful when passed through the lungs. Similarly, if you can see clear streaks through the oil this means that the added CBD and terpenes were not homogenized properly which can cause a harsh hit and poor taste. In contrast to clarity and viscosity, the color of cannabis extracts can be a bit more ambiguous in terms of its ability to inform oil quality. Generally speaking, fresh THC distillate oil should be clear to light amber in color. However, the oil will darken with time and exposure to sunlight (without degrading quality). When an extract contains chlorophyll, it will introduce a dark coloration and bitter grassy flavor. Also, some strains will naturally produce a darker oil. Creating a cannabis oil that resembles the flower it came from requires a method capable of capturing the entire spectrum of terpenes without damaging them. Ethanol refined THC distillate is the purest and most eco-friendly cannabis extract on the market today. While butane extraction works well at extracting a full profile of plant compounds, it’s highly flammable and potentially hazardous. CO2 extraction requires such an intense purification process that the final product can be damaged presenting fewer medical benefits. Insufficient filtration of plant by-products results in compounds that can be harmful to our health. Ethanol on the other hand is the perfect mix. It works well at extracting plant compounds, and is easy to purge while maintaining a large spectrum of terpenes and cannabinoids, which harbor more medical benefits for the user. PuraEarth THC Distillate thus provides the whole plant “entourage effect” experience of a full CBD and terpenoid profile without the potentially harmful side effects of fats, lipids and chlorophyll. In addition our ethanol refined THC distillates are activated during the refining process. PuraEarth cannabis distillate is thus not only highly potent, fast acting, and clean to vaporize, but also able to be orally consumed and used in edibles without requiring additional heat for THCA decarboxylation.